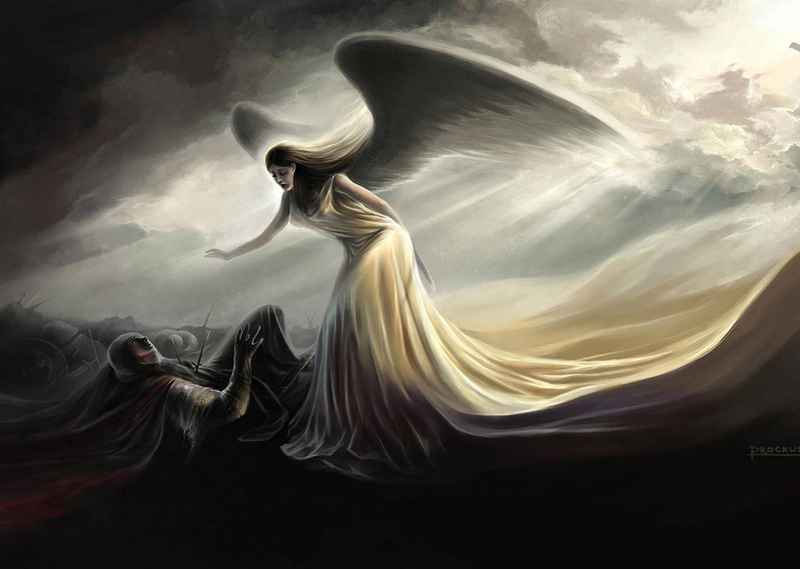 TWINKLEBEAR: My Twin Flame is an angel of mercy. When discussing true altruism—my Twin Flame “Twinklebear” comes to mind. An off the cuff definition of an altruistic person, is a person who is so good, that she cares for the welfare of others more than her own welfare, at times to her own detriment. That in a nutshell, is my Twinklebear. However, I don’t have to search psychological textbooks to explain her altruism. There is a simpler yet more profound explanation for it. Twinklebear is a true angel of mercy. In the Christian tradition, an “angel of mercy” is a messenger from God, sent to Earth to help others. This is truer with respect to Twinklebear, than any psychobabble that can be found. My Baby is a true angel, pure and good. When I say to her, “You are an angel!”—I mean it in the fullest and purest meaning of the phrase. In the tradition of true selfless angels, Twinklebear sometimes gets hurt helping others. At times, the people she helps mistake her true goodness for weakness, and perhaps try to take advantage of her. But there is no doubt in my mind, that she is an angel of mercy, and I wouldn’t want her to change for the world. She is a far stronger and better person than some of the clueless people she helps. I have witnessed Twinklebear have her feelings hurt by people she helps, only to regroup from the experience, and come back strong to help those same people like nothing happened. She is a truly inspiring woman! I can’t tell you how much I admire Twinklebear for this. It is one of a thousand reasons why I love her so much. Even as I see her at times getting hurt being altruistic, she absorbs any pain and moves on, being true to herself. She is one tough lady! A tough “angel of mercy”—golden wings flapping resolutely, in the war to benefit others. She is a true carer, a warrior of mercy from Heaven. The term “carer” these days is thrown around so casually, usually as a job description. However, in Twinklbear’s case the term “carer” carries with it, the mantle and assignment of Heaven. 12 12 12 in every way! AHH thank you so much my sookybear. What a wonderful thing to say. Aww. I love you. I believe you are the ” caring one” so helpful, and always supportive. I love this memoir, so much. Thank you. I think YOU are the Angel , and have been sent here to watch over me, maybe one Angel, came here too hastily, and the other had to follow on route. So that the other was always safe. I hadn’t heard the ” Angel of mercy” used in such a long time. It was good to hear it again. My mum, talked of such beings, and I know now what it means. Podmates Twinflames 🐻 pact forever and a day! 121212 my sookybear.